DOVER, Del. – Farmers throughout Delaware depend on both honeybees and native bees to pollinate their crops each year. It takes nearly 300 million honeybees to successfully pollinate these crops, which bring more than $38.7 million to the state’s economy. 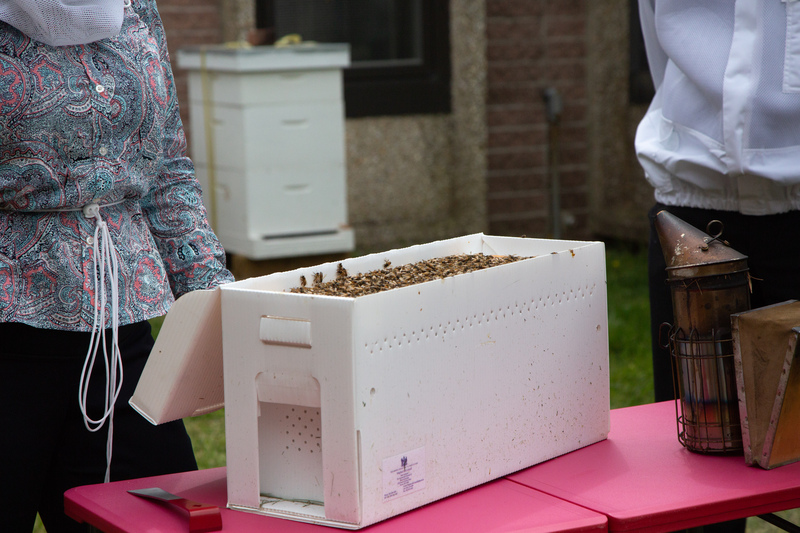 The Delaware Department of Agriculture maintains bee hives for education and demonstration purposes. Delaware’s Managed Pollinator Protection Plan that outlines strategies, best practices, and resources that beekeepers, farmers, landowners, and pesticide applicators can use to help protect and enhance bees and other pollinators. In conjunction with the release of this plan, the Department’s Plant Industries section secured a USDA Specialty Crop Block Grant to engage Delaware fruit and vegetable growers and beekeepers in the implementation of the plan to improve the availability and quality of bee forage and to decrease the bees’ risk of pesticide exposure. Both efforts combined to improve the health and vitality of bees, which in turn enhance pollination of crops and also enable increased production of local honey. In collaboration with DDA on the Delaware Managed Pollinator Protection Plan, DNREC’s Mosquito Control Section updated standard operating procedures (SOPs) when treatments are needed around honeybees or their hives. More information on DNREC’s rationale behind their work with bees is available online.